Elections 2019: Shashi Tharoor had tweeted a picture of him with Nirmala Sitharaman and said, "Civility is a rare virtue in Indian politics - great to see her practice it by example! 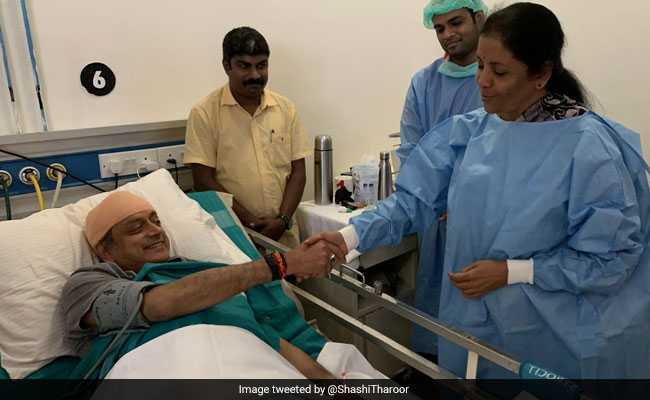 Elections 2019: Nirmala Sitharaman visited Shashi Tharoor in the hospital and enquired about his health. Defence Minister Nirmala Sitharaman, who set politics aside and visited Congress candidate Shashi Tharoor at a hospital in Thiruvanthapuram on Tuesday after he was injured during a religious ritual at a temple, had not shared her plan even with her party, she said. 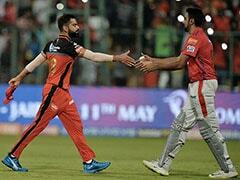 "I got to know that he (Shashi Tharoor) injured himself while performing some ritual. So I thought I should go and wish him well. I hadn't informed anybody, not even in my party circle. On my way back to airport, I thought I should go to hospital," Ms Sitharaman told news agency ANI. Mr Tharoor tweeted a picture of the defence minister visiting him in his hospital room. "Civility is a rare virtue in politics," he posted, sharing a photo with the minister and top BJP leader in his hospital room. Ms Sitharaman was in Kerala for the BJP's election campaign. Several other leaders too reached out to the Congress leader, who was expected to file his nomination on April 14. Shashi Tharoor, 63, was injured during a ritual called ''thulabharam'' on Vishu, in which a person is weighed against flowers, grains, fruits and similar items in temples and the equal value or quantity is offered as donation. While he was sitting on one of the pans of the weighing scale, the hook came off and its iron panel fell on his head. After he was discharged from the hospital, Mr Tharoor was back on the campaign trail and even joined Congress president Rahul Gandhi in his campaign in the state capital yesterday. The Congress leader won his boss's praise for joining him despite his head injury. "I was worried when Tharoor was hurt. I am happy to see that he was back in action. It tells you about his spirit. As Congress president, I tell you, he represented you well I Parliament.... He speaks for you in the Parliament. He is an asset for Kerala," Rahul Gandhi said.